Central Texas Collision has worked on vehicles from 1967 all the way to 2016 models and we have seen the very drastic change in technology that these vehicles have. Today’s vehicles are equipped with the latest technologies which in turn requires great expertise and advanced skills in order to repair them back to pre-accident condition. Central Texas Collision relies on the vehicle data from our estimating software in order to help accurately define the cost of vehicle repairs, but 3D scanners could be the future technology used to transform the entire estimating process. Winter is right around the corner and the last thing you want to think about is being stranded on the side of the road in the COLD. There are things you can do now to avoid car related trouble down the road. We can read about statistics 24/7 and nothing will change. Everyone knows the danger and risk involved, we just never think anything will happen to us, but we are wrong and this is not the right mindset we should have. Why Should You Repair A Dent? Why should you repair dents? We at Central Texas Collision highly recommend repairing dents before they can cause more damage to your vehicle. 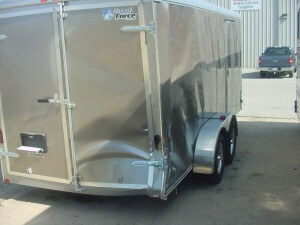 Find out below why we recommend repairing dents of all sizes. 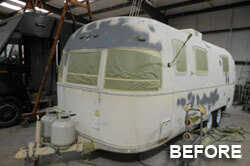 Find out why we are Austin’s best RV Paint and Restoration Shop! Don’t you just wish that your home would sprout wheels and just start traveling all over the world? Why should a home have to stay buried in the dirt? Well that’s reason we have RV’s. Did you know that RV stands for, “A recreational vehicle, in North America, the usual term for a motor vehicle or trailer equipped with living space and amenities found in a home.” Credit to Wikepedia.com for this definition. 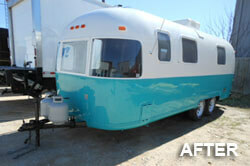 An RV is a home on wheels. Made for people who love to travel and take their home with them wherever they go. I mean who really wants to travel in a cramped ca r that doesn’t even have a restroom. 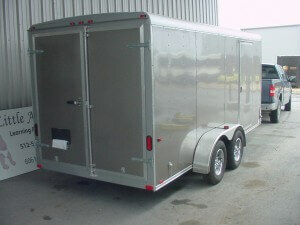 An RV has room and lots of it! They range from single beds to mansions! It’s really quite a site to see! Austin’s best body shop is here to help if you’ve been in an accident! Stop your vehicle right away. Take a photo or jot down the license plate number of the other vehicle. If anyone is hurt or you feel any pain, do not hesitate to call 911. Make sure to show your driver’s license and insurance to the other driver and to any police officer on the scene. Report the incident to the DMV right away. Write down a full, detailed description of the accident right away. Doing this will keep the accident details clear in your mind. Most insurance agencies now have mobile apps that will help to log vehicle accident. Notify your insurance company, even if it is a minor accident. Settling the claim yourself is dangerous as you never know what can fall back on you later. Make sure you review the “appraisal clause” in your insurance policy. With some cases, depending on the extent of damage and coverage you have, the insurance company and the body shop might not fully agree on what the repairs should cost. We would notify you right away if this were to occur as that would mean you would pay out of pocket for the difference, but we work diligently with the insurance to avoid this as best as possible. The best way to avoid shops charging you more than they should is to take your car to several different shops for repair quotes. Central Texas Collision Repair will review any estimates you’ve received from other shops and match them if we can.